Many people assume that once they have gotten their truck and trailer leasing, they can now drive anything they want. It would be quite simple if that were the case, but unfortunately, also quite dangerous. Many people start out with a class A licence and then graduate onto other classes. Each time you get a new licence, there are new educational and experience requirements that go along with them. If you are thinking about upgrading from an A to an AZ licence and would like to know what that entails, below are four things you should know before attempting to upgrade. The Restricted Class A licence (condition R) is specifically meant for drivers who are operating smaller truck-trailer combos. These include recreational, horse or utility trailers. If you have this licence you are also permitted to drive a car or a light truck covered by a class G licence or heavy trucks that are covered by the Class D licence. 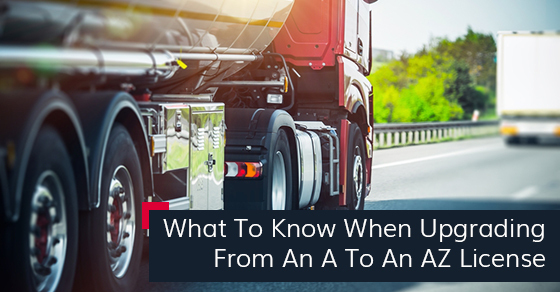 When you get truck and trailer leasing for a specific rig or set up, it is important to understand that not having the necessary licensing requirements in place beforehand is going to cost you time and money once you have the money or the leased vehicle in place. You won’t be driving it until you are fully licensed. To get the Class A licence you need to be at least 18, have a valid driver’s licence that is not a learner’s permit, pass an eye exam, submit a full medical report, and pass a knowledge and a road test. Anyone who drives a vehicle with air brakes, or an air-over-hydraulic brake system (which includes most big commercial truck drivers) has to have the Z endorsement on their licence. Get this well before you apply for truck and trailer leasing. You will need to get yourself a copy of Ontario’s official air brake handbook, which you can get online through service Ontario at the DriveTest Centre as well as from a variety of retail stores. To get your AZ licence from simply having your A, you will need to complete a 12-hour course, which is offered either by a community college, or an accredited safety association. If you already have a class B,C,D,E,F,G you only have to take a 10.5 hour course. Getting your licensing in order before securing truck and trailer leasing makes sense because it allows you to get out onto the road immediately and start making money off your new asset instead of having to wait around while you complete the test and educational requirements. Keep the above A to AZ upgrade requirements in mind if you are thinking about getting an additional licence.